Fitting a camera to a jarring machine such as an ATV would generally produce undesirable video quality. This becomes even more difficult when the camera is required to pan and tilt or stay focused on a certain object. Both of these obstacles have been overcome with the use of Animatics Class 5 SmartMotor™ servos. Phase offset adjustments are just one of the many programming features available to users of SmartMotor™ technology. 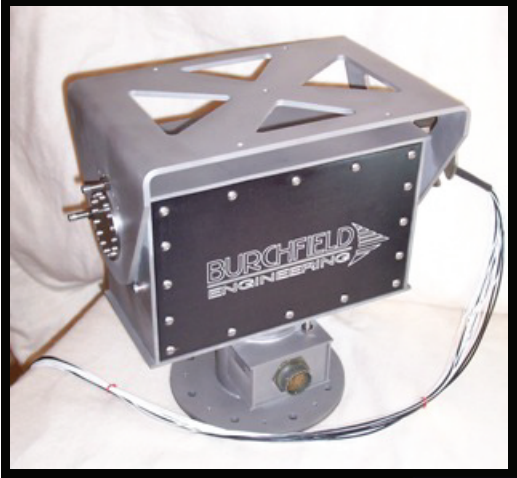 Burchfield Automation successfully used the Phase Offset feature as a vibration dampening measure to create stabilization on their Pan & Tilt systems. The Phase Offset option creates a differential velocity between the external gyroscopic measurement of the Pan & Tilt system and the motor’s internal encoder. This allows the physical measurement of the gyroscopic position sensors to tie in directly to the closed loop of the servo. 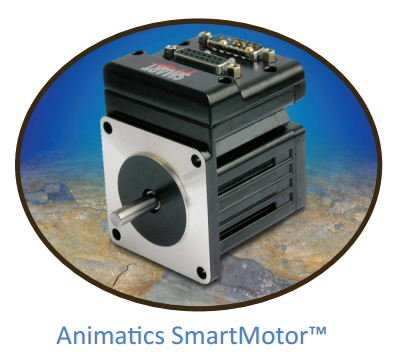 The fact that the Smart Motor™ is a true servo allows for the highest degree of accuracy, smoothness, and precision all while contained in a compact unit. Watch the video. With the SmartMotor™ solution, Burchfield was able to achieve an impressive resolution of 0.1° in heading, pitch, and roll directions. With the availability of multiple on-board I/0’s, programmable as inputs or outputs from 5-24V, the use of SmartMotor™ technology truly allows for full machine development. 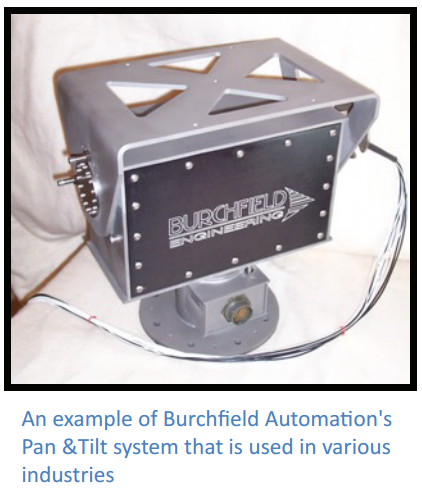 For example, Burchfield Automation’s Pan & Tilt systems are capable of performing tracking operations wherein a camera will stay focused on one area while the Pan & Tilt base moves with the vehicle. The result is a camera that can lock onto a target and hold it in focus regardless of vehicle movement. Furthermore, with Class 5 motors achieving an IP65 rating, numerous environments are suitable for precise positioning systems that need to maintain stability.